Even as it gets darker tonight, the spot where we stand is not in complete darkness. 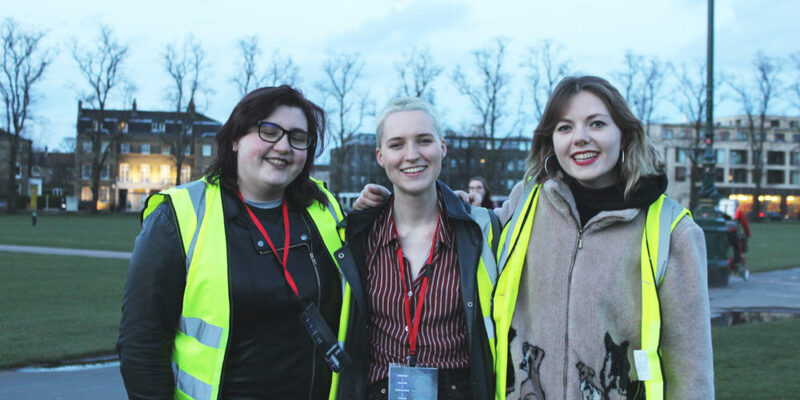 In 2014, lamp posts were installed on Parker’s Piece, following a decade of student-led campaigning for the council to make the city better lit and safer for those who walk through it at night. Feminist work is embedded in the landscape, and we move through these spaces with more ease because of the often invisible or forgotten work of those who walked these paths before us. When I came on the Reclaim the Night March last year, someone carried a banner reading ‘Not Just the Night: Reclaim It All’. I’ve been thinking a lot about what this means. When we talk about reclaiming the night, and the streets, it’s important to remember that for many, the place we reach when we get in from the street is not always a space of safety. That our homes, our schools, our universities, can be places of violence, and of violence that happens in broad daylight. Our understanding of sexual violence has to reach beyond the dimly lit street, and our commitment to ending sexual violence has to reach beyond tonight, and into the work of our daily lives. The same year that Parker’s Piece gained its lamp posts, the Women’s Campaign published research which found that 77% of respondents had experienced some form of sexual harassment while at Cambridge, and that the majority of them did not report it. This work forced the issue of sexual violence onto the university’s table, meaning it was no longer possible to claim that ‘things like that’ don’t happen in a ‘place like this’. Still, it took years of campaigning for us to see the changes we wanted implemented. In 2017, Breaking the Silence introduced a new university policy for sexual misconduct and the creation of an anonymous reporting system. For the last two years, the Women’s Campaign has been fighting to make this policy more workable for survivors. 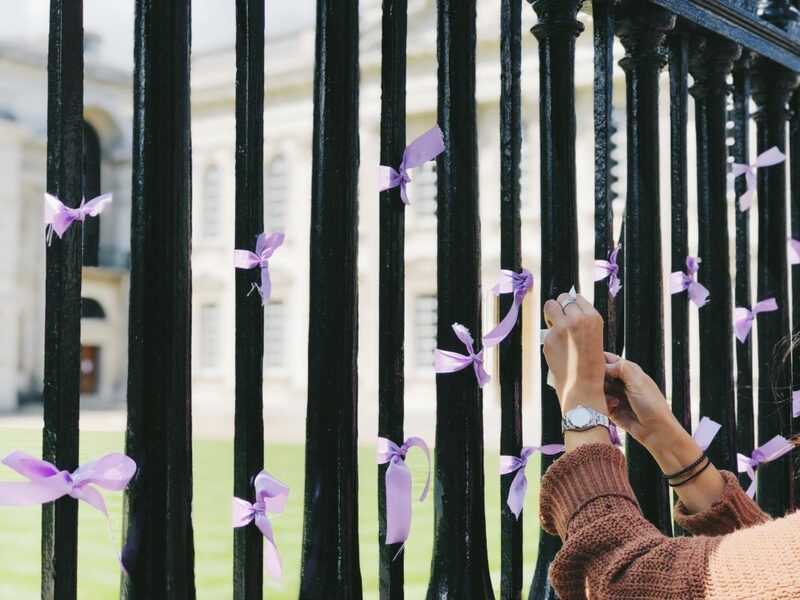 We tied ribbons to the fence of Senate House to represent the students who made anonymous reports of sexual misconduct, reclaiming this guarded space at the very heart of the university. We didn’t allow the university to use their eventual concession to student demands as a slick PR opportunity to celebrate their own success, we pushed for further change and called for them to turn rhetoric into action – thanks to that work we are now on the verge of seeing our reforms go through. We must remember these changes weren’t granted from above by a benevolent university. Our gains were hard won by the persistent agitation of students, and they need defending. I am so grateful to the women and non-binary people who have fought to make this university a more liveable space for all of us, and who taught me these histories. As always, there is still more work to be done. Porters block guests from leaving colleges unaccompanied late at night, with no thought to what we might be trying to get away from. Students are retraumatised by university counsellors who aren’t equipped to offer support to survivors of sexual assault. College sexual misconduct policies continue to be archaic and unworkable for survivors. Feminist work isn’t always glamorous. Feminist work is creating surveys and collecting data, responding to consultations and writing emails. But we know that feminist work WORKS. We have come so far in just five years, and I find comfort and strength in the knowledge that I stand on the shoulders of decades of work. Tonight is a moment of collective strength and joy. When we walk the streets together, we feel emboldened and invulnerable. When we return home, let’s continue to find strength in one another. Ending sexual violence is a collective struggle, and it’s when we stand together that we can achieve real change.